My wallet is running, but staking does not appear to be active. In the pivx-qt (graphical/GUI) wallet the arrow is not green or in pivx-cli (command line/CLI) getinfo says staking is not active. As a first step, please verify that you meet all staking conditions on this page. Condition number 5 is a common reason for staking being inactive. Waiting for your coins to mature takes 101 blocks (101 minutes). 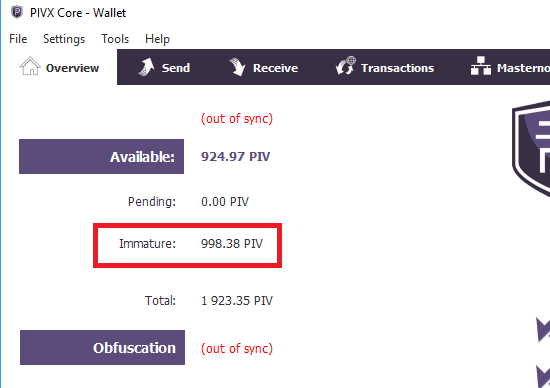 During this time your GUI wallet may show that part of your balance as immature. You should see an output similar to the one below that shows your compliance with several staking conditions. If any of these are false, it should narrow down the issue.